On mixing bespoke suits and separates…..“But those trousers” she said “don’t match your jacket.” Socialising with a group of friends, it was a young lady who noted, what was to her eye, a sartorial oddity. She was absolutely spot on. “You are quite right. They don’t.” came the reply “But the real question is; do they marry well?” Frowns, analysing squints and much silence passed before the group responded. On the whole the reaction was positive. In addition, this little interaction gave us much food for thought in regard to the sustained growth and influence of suit culture; in particular that which dictates one wear identical material on one’s legs to that on one’s torso. The bespoke suit jacket and tailored trousers in question were not such worlds apart. It was exactly the fact that they were not equal that appealed to the wearer and provoked initial disquiet in another. Bespoke Suits are splendid but there is always the bonus of being able to liven them up with accessories, where at times the monotony of a large expanse of the same fabric sometimes needs breaking up. Many of our customers get great enjoyment from wearing jackets and trousers as a ‘mixture’; a plain black bespoke suit jacket with some grey houndstooth trousers, a light grey bespoke suit jacket with some charcoal chalkstripes. It is sometimes assumed that such combinations denote purely casual ensembles. 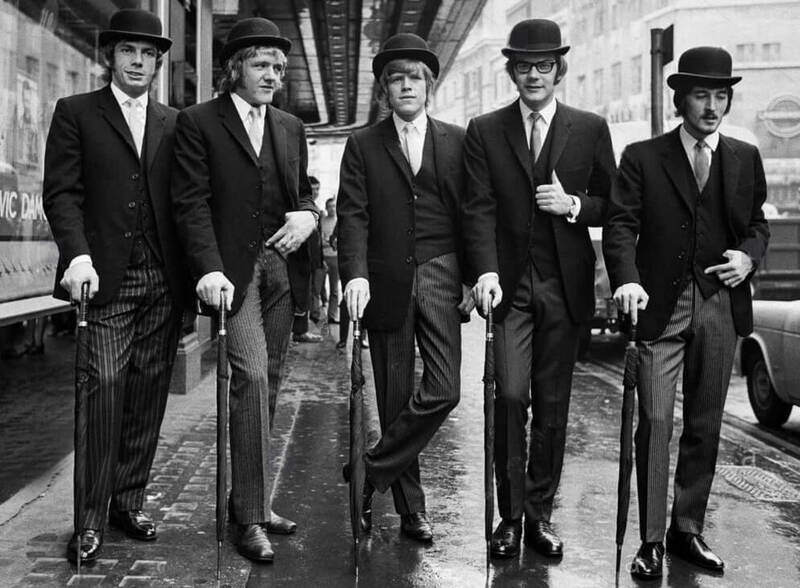 However, if we think back to the old gentlemen of the city, dressed in bowler hats and carrying umbrellas, these boys were universally famous for marching around the Square Mile in their contrasting striped trousers and black jackets. Morning suits/ morning dress is another case in point. One of the most formal of the bespoke suits in a man’s wardrobe, is most often represented by striped or houndstooth trousers and a plain dark coloured tailcoat. It was also common in Victorian times for gentlemen to wear morning coats and frock coats with alternative trousers – either matching the waistcoat to the trousers or to the jacket. 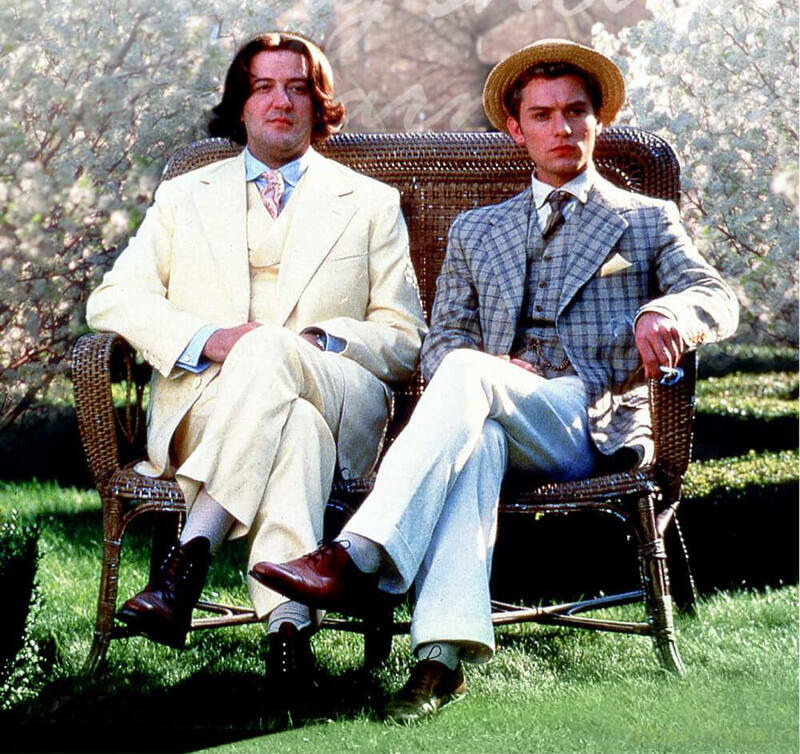 The other alternative is to wear a patterned jacket and waistcoat with plain trousers; for example a checked tweed jacket with matching waistcoat and white trousers, as Jude Law demonstrates in the image below, taken from the 1997 film, Wilde. Fry, on the other hand, looks rather like a gelato counter in comparison; the affectation in his ensemble is the ‘daring’ in wearing such a colour of suit. 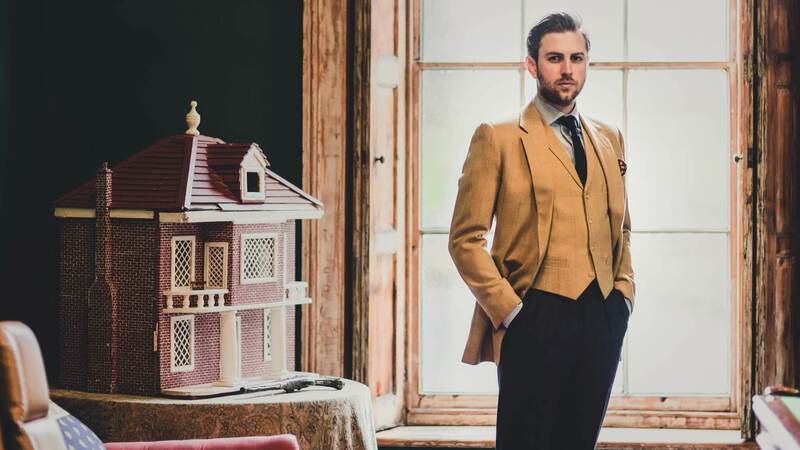 However, the affectation in Jude’s outfit – the pairing of a matching jacket and waistcoat with alternative trousers – is far more satisfying to the eye. However, caution should be taken when selecting the ingredients for these ‘cocktails.’ The cut of the jacket must not be too dissimilar to the intended style of the trousers; i.e. wearing skinny trousers with a substantial jacket could look rather odd. Colours are also very important with mutually complementary tones across ones shoes, trousers, waistcoat and jacket making the best approach. This gives some logic; a connection between the individual items that is immediately discernible. Take a look at our bespoke separates and suit galleries for further inspiration or book a consultation to discuss your style requirements.